While I have many years of experience conducting research as a journalist, I recently had my first taste of helping to publish higher education research alongside my team at The Aspen Institute. 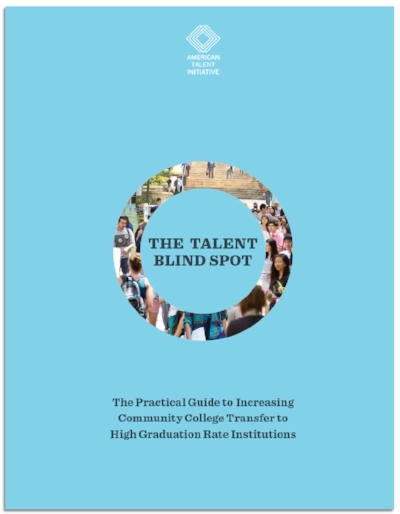 The two-volume research paper on community college transfer to high graduation rate four-year institutions can be found here, on The American Talent Initiative's website. My professional work in media includes writing, editing, researching, and communications. While pursuing journalism throughout undergrad, I worked as an editorial intern or freelancer at magazines and digital media companies including Greatist, Men’s Health, Women’s Health, VICE, and Runner’s World. While working in journalism, I spent most of my time writing pieces, both for the web and print magazines, editing and copy-editing, conducting research, and interviewing sources.